The three main sports stadiums in Toronto--the Rogers Centre, Air Canada Centre, and BMO Field--are all relatively recent constructions. The oldest of the bunch, the home of the Toronto Blue Jays, has only been open since 1989. The newest, BMO Field, is only 8 years old. Storied Toronto sports venues like Exhibition Stadium, Maple Leaf Stadium, and the Mutual Street Arena were sadly wrecked before having a chance to become truly historic. Here are the 5 oldest stadiums in Toronto. The University of Toronto's athletic grounds at Bloor and Bedford has the longest history of any extant sports facility in Toronto. First used in the 1890s by U of T's Varisity Blues football squad, the field was the home of the Toronto Argonauts through the team's various incarnations until 1959. 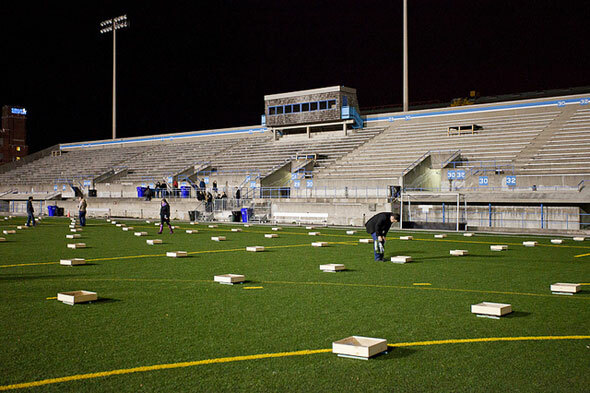 Despite the Argos having been gone for more than 50 years, Varsity stull retains the record for hosting the most Grey Cup games, including the famous 1950 "Mud Bowl." Varisity was home to the ill-fated Toronto Toros WHL side in the 1970s and, outside sports, the venue for the 1969 Rock and Roll Revival--a seminal concert with performances by John Lennon, Alice Cooper, The Doors, Chuck Berry, Little Richard, and others. The concert film, directed by legendary counterculture documentarian D. A. Pennebaker, was released as Sweet Toronto. The Plastic Ono Band's set became Live Peace in Toronto 1969. The house that Conn Smythe hastily built at the corner of Church and Carlton during the Summer and Fall 1931 was a happy hunting ground for the Toronto Maple Leafs. The team won 11 of their 13 Stanley Cups under the big steel-domed roof before splitting for the Air Canada Centre in 1999. During the stadium's heyday, it also hosted boxing matches, concerts, and political rallies. 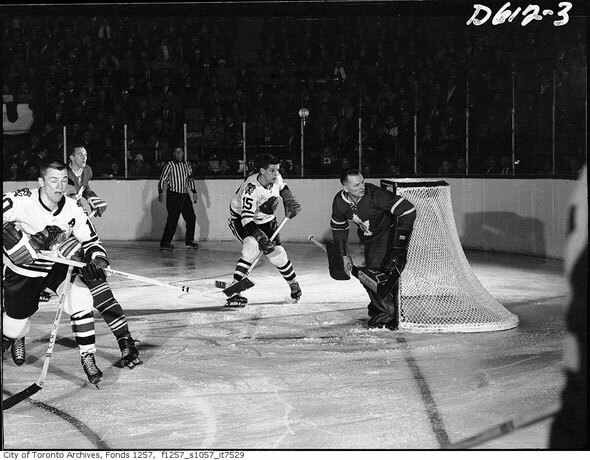 In addition to hockey, the NBA's Buffalo Braves, the Toronto Marlboros, and the Toronto Raptors played home matches at the Gardens, which became a National Historic Site of Canada in 2007 as one of "the most renowned 'shrines' in the history of hockey." Sport returned in 2012 with the completion of the Mattamy Athletic Centre on the upper levels of the Loblaws shopping centre. Completed as part of Monarch Park Collegiate Institute in 1964, Monarch Park Stadium replaced a baseball diamond the corner of Hanson and Coxwell that had been in use since the 1940s. Because of the site's sporting history, Toronto mayor Donald Summerville encouraged the Board of Education to build the school--the most expensive constructed in Canada when it opened--with a large, multi-purpose stadium for students and the public. The stadium, which currently houses a running track and soccer field, cost $289,000 and has a seating capacity of around 5,000. Today, tenants include the Monarch Park CI sports squads and Cherry Beach SC soccer team. In 2002, Monarch Park Stadium was the backdrop to the video for Broken Social Scene's "I'm Still Your Fag." 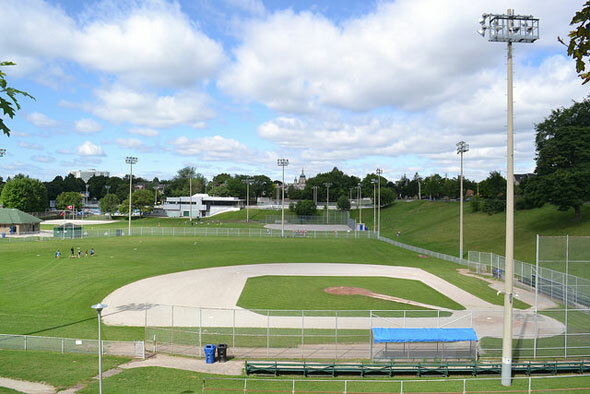 The main diamond at Christie Pits has been the home of the Toronto Maple Leafs baseball team since 1969. Founded by Jack and Lynn Dominico two years after the International League franchise of the same name split the city, the semi-pro ball club has won the Intercounty title numerous times and finished first in the standings at the end of at least 20 seasons. Originally called Christie Pits Field, the tiny playing area with a set of bleachers at the north end of the park was renamed in honour of the team's founders in 2010, a year after the death of Lynn Dominico. 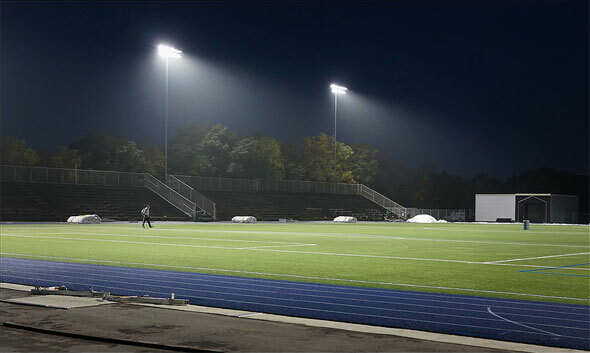 Completed on the site of the notoriously brutal Mercer Reformatory for Women near King and Dufferin in 1975, the 9,000-seat, $2.6 million Allan A. Lamport Stadium was named for former Toronto mayor, alderman, controller, and TTC chair Allan Lamport--affectionately "Lampy." He said it was "very nice" the city has chosen to honour him in the name of the stadium following the official announcement. Soccer team Serbian White Eagles FC have the longest running association with the facility. The team qualified for the 1975 CONCACAF Champions' Cup and has mostly played at Lamport Stadium since 1975, despite several years of amateur status and a brief stint at Centennial Park Stadium in Etobicoke. Lamport Stadium is also pulled into service during Caribana and Nuit Blanche. Did I miss one? Add your suggestions in the comments below. Images: City of Toronto Archives (as marked) and Alain Brouard, Michael Monastyrskyj, Tanja-Tiziana/blogTO Flickr pool.